Our mission is to work hard and impress customers with simple, good quality food, using fresh ingredients cooked daily. We want to bring a corner of Naples to Herne Bay by offering you authentic Italian food. We believe that as long as we can give a warm and comfortable service, you will love our food and the restaurant as much as we do. A Casa Mia is very proud to be the first restaurant in UK to be certified by the AVPN (Associazione Verace Pizza Napoletana). As a member, we must abide by specific rules when creating an authentic Neapolitan pizza. The dough must be worked by hand, and cooked directly on the surface of our traditional domed Neapolitan pizza oven, fuelled by wood. Only soft-grain flour, fresh yeast, water, and sea salt may be used for the dough, and only Italian plum tomatoes, mozzarella di bufala, extra-virgin olive oil and fresh basil or dried oregano may be used for the toppings. A Casa Mia opened its restaurant doors in September 2013, in the wonderful Kent seaside town of Herne Bay. 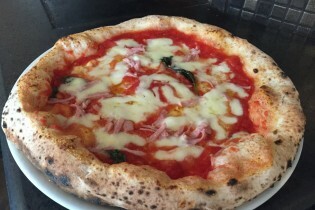 We are the first restaurant in the UK to be approved by Associazione Verace Pizza Napoletana for our pizza’s. A Casa Mia (Italian for ‘at my house’) is an Italian family run restaurant owned by Gennaro Esposito and his wife Donna. Gennaro has had over 20 years experience working in London restaurants.